In version 3.0 I have separated the current flight from the history of flights. While flying, a pilot or timer is not interested in earlier flights. All info shown should be about the current flight. Switching between the two views is easy: wsipe up in the screen based view to reveal the table. Drag the table down to hide the table to reveal the screen. Also I am thinking about adding functionality for F3F contests. The number of F3F pilots worldwide is quite large. The setting start worktime ahead is extended so that the user can select between 5, 10 and 30 seconds. Screen design. The information about the current flight is much larger for readability. F3B mode: The calculation of the expected number of laps in F3 Distance was wrong. Corrected now. F3B Duration: Like f3j: maximum 10 minutes flight time within the working time of 12 minutes. F3B Distance: Within the work time of 7 minutes flying as many times between the pylons. Every lap is indicated by a press on the volume button. After 4 laps, the app calculates the total number of laps that can be achieved when the current rhythm is maintained. Also a rhythm is indicated by a sound. This rhythm is a running average of the last four laps. 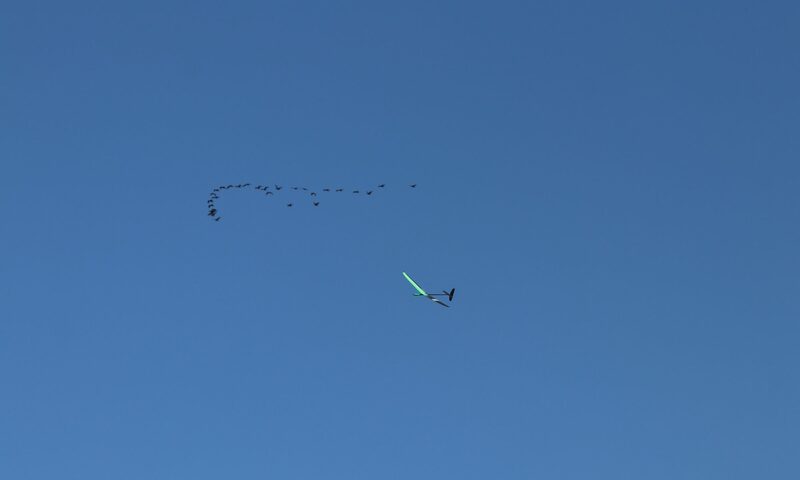 F3B Speed: Within 4 minutes flying between the pylons. The App indicates a rhythm of 3/4/5 seconds. The volume buttons now have a slightly different behavior. Now it does not matter what button is pressed: If we use work time (this is a setting) then the first press on any of the volume buttons starts the work time. If the work time is running, a press on a button results in starting a flight. Again pressing a button will stop a flight. Another press will start it again. And so on. Working time can be stopped with a small button on the screen, otherwise the work time will stop automatically. Talking Timer functionality for the work time and the target time (“5 minutes, 4 minutes, 1 minute”, etc). The work time is started by one of the volume buttons (the two buttons have the same functionality). If the work time is started, the flight is started. If the plane is flying, a press on one of the volume buttons stops the flight. The work time stops automatically or can be stopped by tapping on the screen. 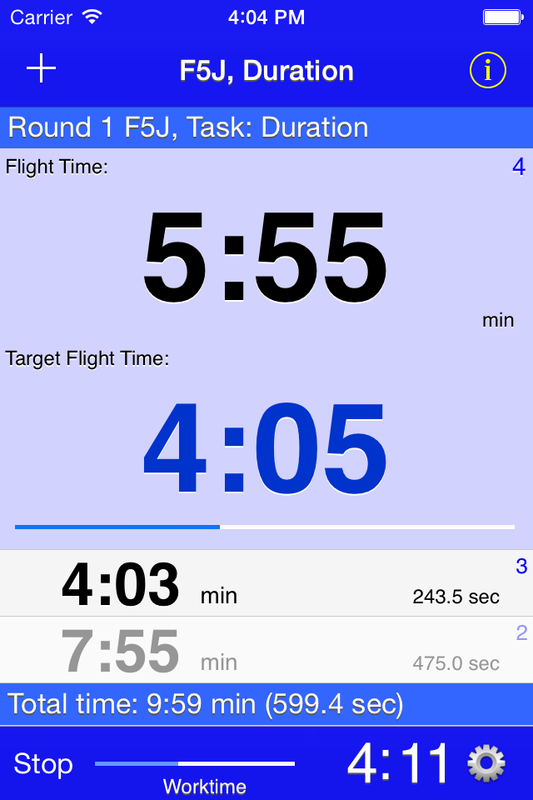 shake the iPhone to start a flight, this is designed when a pilot is flying and timing. shake the iPhone to stop a flight, this is designed when a pilot is flying and timing. To delete all the recorded flights. This is only possible when the flight time is stopped.